3 quick and easy steps put you in contact with professional, pre-screened outfitters who have openings for the animal you wish to hunt, within your budget. Step 2: Provide number of hunters in your party, hunt budget, desired hunt timeframe, additional comments (optional) to further define what you're looking for in this hunt. Step 3: Provide your contact info. 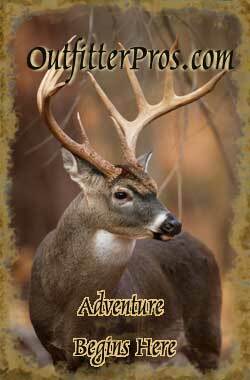 This will only be provided to the outfitters that offer a hunt that meets all your criteria (budget, hunt dates, etc. ).